Today, a multitude of Venezuelan citizens took to the streets across their country to demand their freedom and independence. The images can be found on social media. Students who organized today's demonstrations called it the March for Independence. 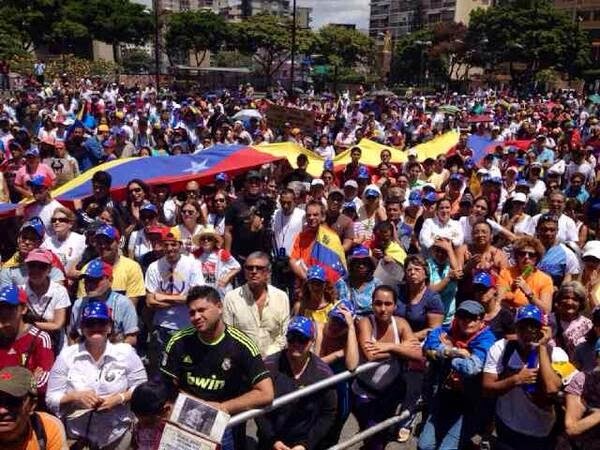 You wouldn't know it from the mainstream media but there is a mass democratic movement in Venezuela that has maintained itself since February turning hundreds of thousands of Venezuelans to the street and its shaking the foundations of the Maduro Regime. 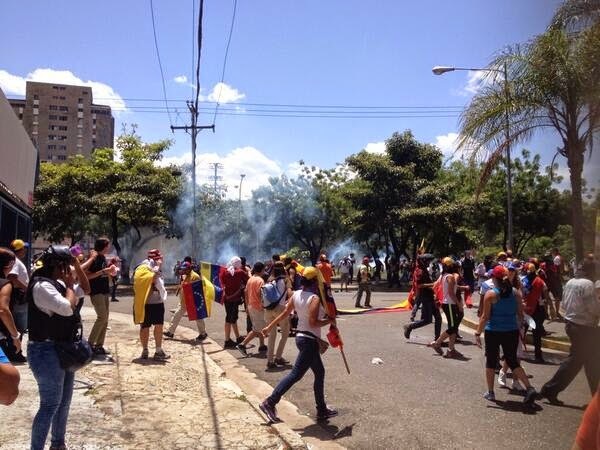 Today across Venezuela students mobilized and took to the streets. They were met by security forces firing tear gas and rubber bullets in order to break up the nonviolent demonstrations. 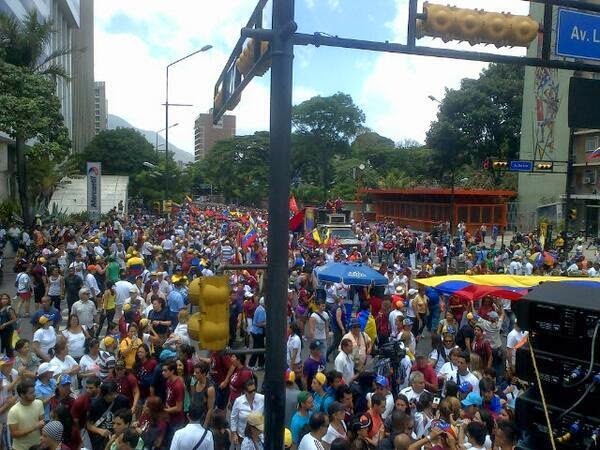 The death toll during these protests by agents of the Maduro regime has reached 43. Josue Farias died in Maracaibo on June 21, 2014. The 18 year old student was injured by a bullet during protests at URBE on May 29, 2014. Opposition leader Leopoldo Lopez has been unjustly imprisoned since February 18, 2014 when marching alongside a multitude of Venezuelans he turned himself in to the Venezuelan authorities knowing that justice was not guaranteed. Meanwhile as an innocent man is imprisoned and kept away from his wife and children the killers of young Venezuelans remain free. 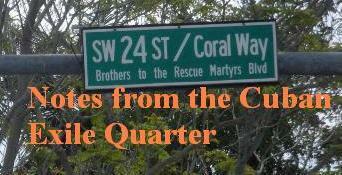 on March 23, 2014 Adriana Urquiola was shot twice and killed. She was 5 months pregnant. Three months later and her killer remains free. Seven of the eight accused of murdering Bassil da Costa will be judged in freedom. Considering that the judiciary is completely politicized and subject to the whims of the executive branch and the Cubans the hope of justice is at best naive. Remember Venezuela is a country were a judge following the law both national and international was arrested and raped while in detention for freeing an individual who was arbitrarily detained. Every serious poll confirms, for the first time, that a solid majority of the public opposes the government. Even pro-“chavista” polling companies, such as Instituto Venezolano de Análisis de Datos, agree: In its most recent survey, 55 percent of Venezuelans considered Maduro a dictator. Key opposition figures are all more popular than Maduro, including Machado and López—who is now even ahead of Capriles. Four months later following a trumped up hearing and now awaiting a political show trial in August that will be orchestrated from Havana, Cuba with the assistance of President Maduro, Leopoldo Lopez released the audio of his defense before the Court which was an indictment of the regime highlighting the ridiculousness of the charges. Venezuelan students abroad just last week addressed a forum at the United Nations Human Rights Council to denounce the human rights situation in their home country alongside Cuban dissidents, and a survivor in the incident that claimed the lives of Oswaldo Payá Sardiñas and Harold Cepero Escalante on July 22, 2012. The students discussed protester deaths at the United Nations. The struggle for the future of Venezuela continues. As long as the opposition is able to nonviolently resist the Maduro regime while articulating a coherent strategy and maintaining nonviolent discipline they have an excellent change of achieving a democratic change that will usher in a new and better Venezuela.